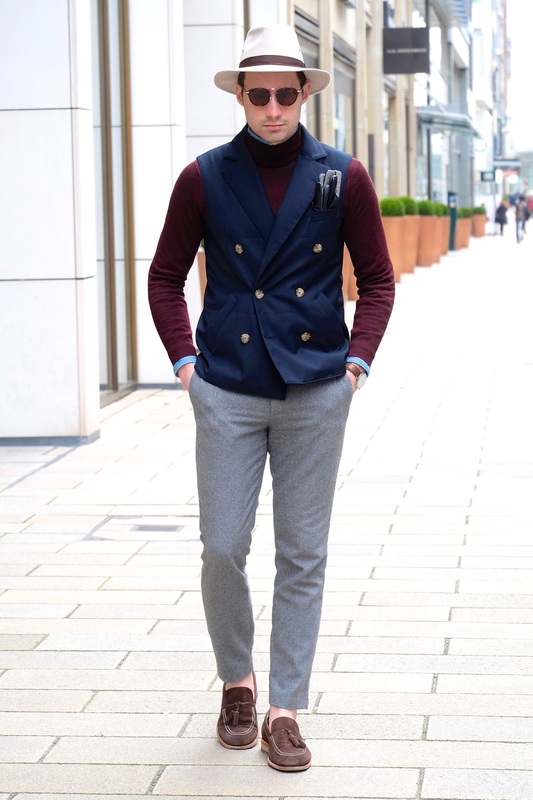 This past winter it seems that the world has grown to embrace the turtleneck sweater as a stylish sweater option. They are warm, comfortable and look great paired with just about anything. Now that the weather’s slowly starting to become springlike you might be thinking it’s time to pack away your turtlenecks, but think again. They are the perfect piece to transition your style from winter to spring. 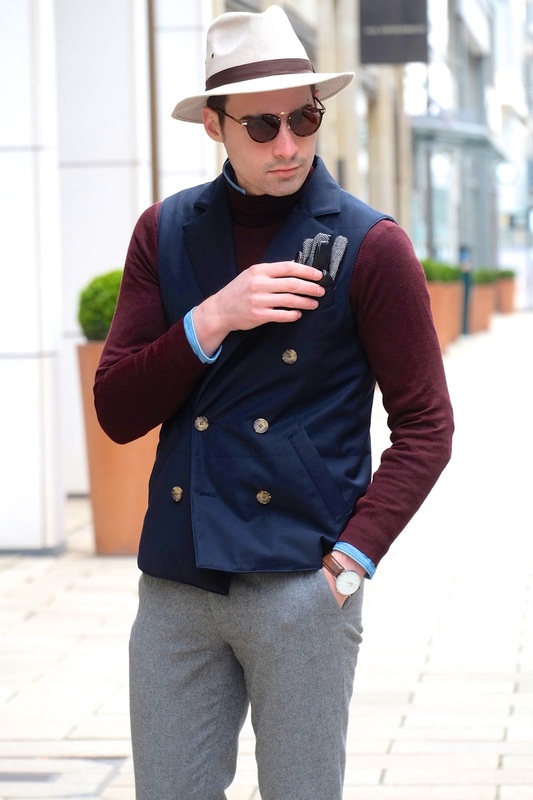 Try wearing yours under a vest or waistcoat with a pair of wool trousers such as what I’m doing or add a blazer for some extra warmth. 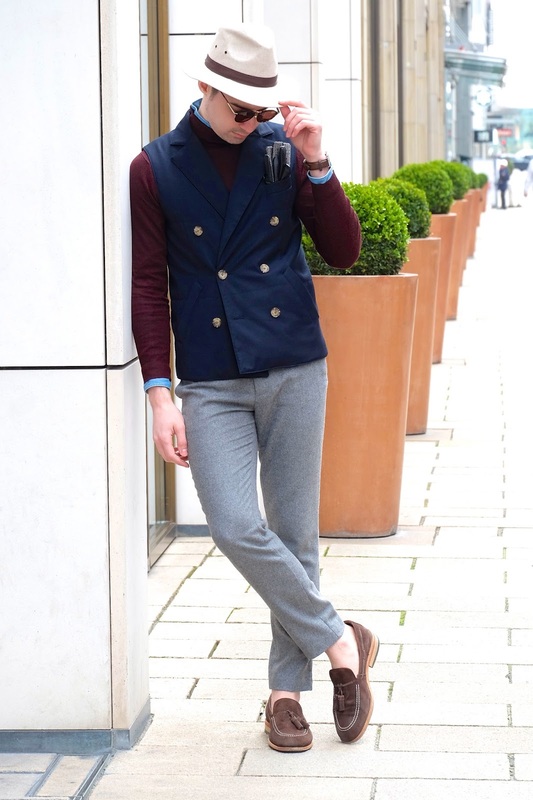 For chilly mornings wear a topcoat which can easily be taken off for the warmer afternoons. Going to the office? 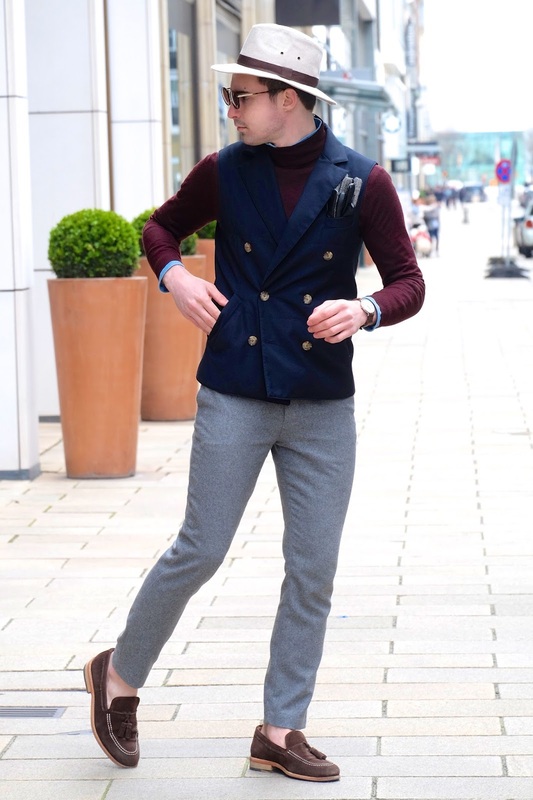 Wear a solid turtleneck under your suit or if you’re heading off to class try wearing one its own with a cool hat. The options really are endless. 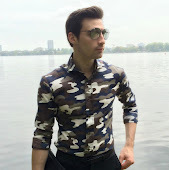 Hope you like the look and thanks for reading!